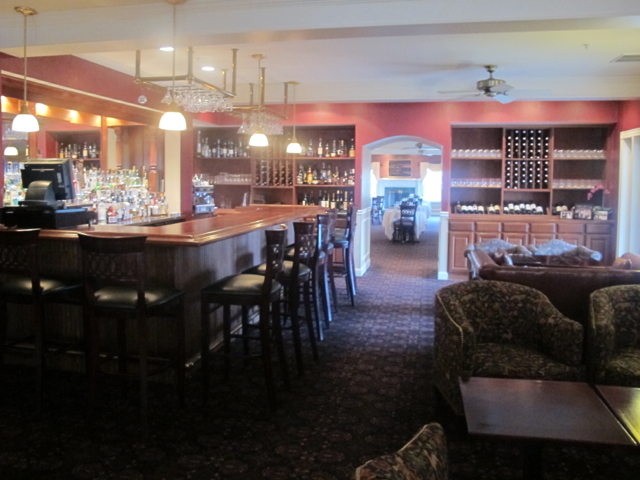 Where: Inn at Thorn Hill, located in Jackson in New Hampshire’s Mount Washington Valley. The inn is situated on a hillside, with mountain views, but is just steps from Jackson Village, with its handful of shops and restaurants. What: Two-night getaway package booked through TravelZoo and including lodging, breakfasts, afternoon tea with sweets, one three-course dinner, and a $20 coupon applicable to a spa treatment. I went with my dad, who stayed in an accessible room. The Experience: When a fire raged through the Inn at Thorn Hill on Columbus Day weekend of 2003, the former summer cottage, designed by architect Stanford White, was destroyed. Owners Jim and Ibby Cooper were overwhelmed by the outpouring of support from friends, neighbors, former guests, even strangers who mourned the loss of not only the lovely inn, but also the highly regarded dining room. So the Coopers rebuilt, following the lines of McKim’s original gable-roofed design, but doing something owners of other Victorian inns wish they could do. Working with their architect, the Coopers created an inn that’s true to the original yet puts everything inside where it should be and allows for all the modern conveniences, including plumbing and wiring and an elevator, that guests of four-diamond properties desire. 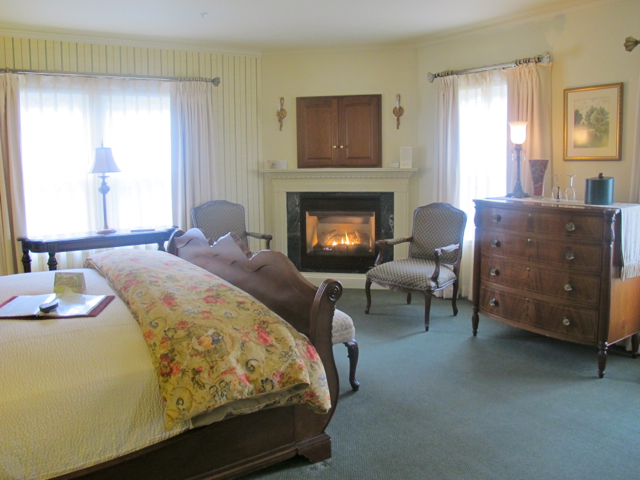 The Rooms: Every room in the main inn has a gas fireplace, whirlpool tub for two, and separate shower. Bedding is luxurious, towels are abundant, robes are provided. Also on the property are three cottages (one pet friendly) and the carriage house, with less fancy rooms. What to love: The food! The dining room and lounge overlook the mountains, with views of often-snow-capped Mt. Washington when the weather cooperates. Rates include a country, choice-of-menu breakfast, and packages including dinner are available. There are two dining venues: The dining room, with white tablecloths setting a more formal tone, and the lounge, where its easy to kick back and relax in comfy seating areas with upholstered and leather chairs and couches, a TV in one corner, and a full bar. In the dining room, the menu ranges from chicken-fried tofu to crab-crusted tenderloin ($22-31), in the lounge, you can order from either the lounge or dining room menus. The lounge menu emphasizes tapas as well as heftier choices, such as lobster-baked mac and cheese and Tuckerman’s beer-battered fish and chips. I easily made a meal one night from the posole roaja, lamb lollipops, and pork belly confit–truth is, the portions were huge and I easily could have been full with fewer choices. You can download menus from the inn’s website. Don’t miss: The spa. A session with holistic therapist Jody Buzzell is a must. My 50-minute Revive Massage & Facial ($99 regularly, I paid $79 with my package) ranks in my top 10 spa treatments. The petite spa is located on the inn’s basement level (no elevator access). Also here is a sauna and a small fitness room with aerobic equipment and weights. Seasonal perks: April is mud season. The ski trails are closed, the hiking trails are still wet. The inn, however, provides a pamphlet of walking tours from the inn that stay on the country roads. Because it’s the off season, traffic was light to almost nonexistent. I took both short and long walks, ranging from 1.5 to 5+ miles. Some climbed steep hills, others moseyed through town. In summer, of course, the hiking trails of the White Mountain National Forest beckon, but there’s also an outdoor pool; in winter, four alpine areas are within minutes and the world-class Nordic trails of the Jackson Ski Touring Foundation are out the door. 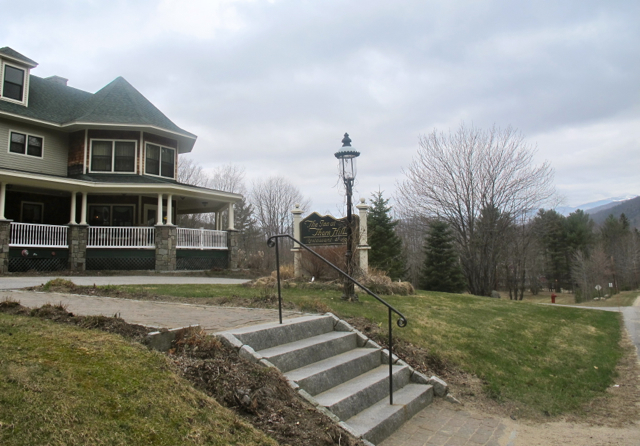 Tags: Inn at Thorn Hill, New Hampshire, spa, Victorian inn. Bookmark the permalink.